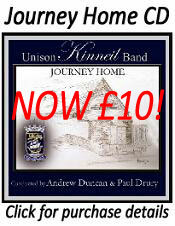 Tickets are now available for the UNISON Kinneil Band Annual Concert which is being held on Friday 17th November. 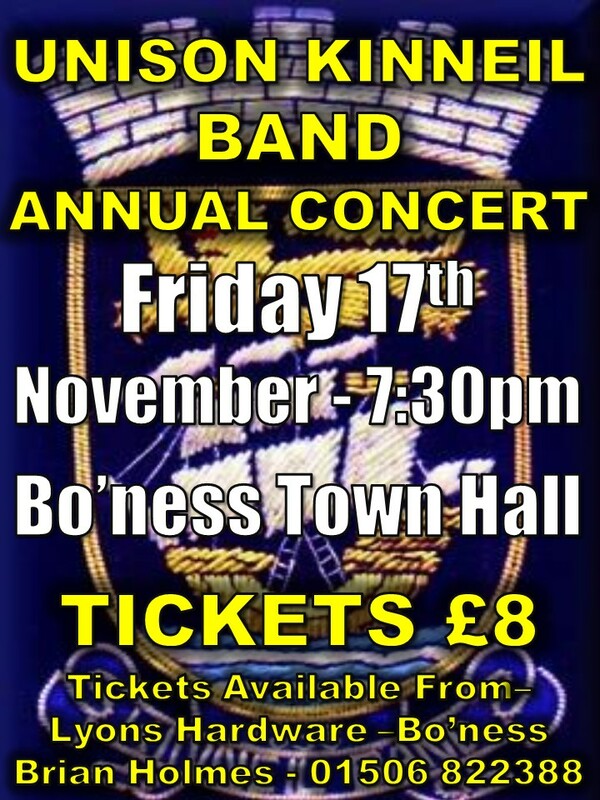 As usual the 2017 concert is being held in the Bo’ness Town and will commence at 7:30pm on the night. Kinneil Band have enjoyed another busy year attending and performing at more than 30 events both locally and nationally over the course of the past year. The band tasted success on the contest front too during 2017 which cumulated with Kinneil securing a top 3 finish at the Fife Charities Competition that was held at the end of September. The Annual Concert will also feature the exceptionally talented children of the Kinneil Youth Band who continue to grow in numbers and have enjoyed another busy but successful season. 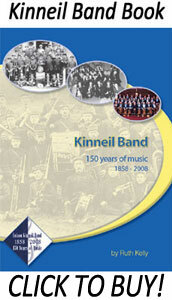 In the new year, the Kinneil Band will be launching a brand new beginners band aimed at school children who are keen to learn a musical instrument. All tuition, instrumentation, books and music will be provided free of charge! With the band in fine form, this jam-packed evening of music making promises to include something for everyone! Tickets are on-sale now priced at only £8 and can be bought from Lyons Hardware South Street Bo’ness, from Brian Holmes on 01506 822388 or from any band member. This entry was posted on Monday, November 6th, 2017 and is filed under Concerts, General News. You can follow any responses to this entry through RSS 2.0. Both comments and pings are currently closed.